The Future Seed Executives Committee (FuSE) is a subcommittee of the American Seed Trade Association’s (ASTA) Leadership, Education and Development Committee (LEAD, formerly the Management Skills Committee). Since its formal inception in 2004, FuSE has focused on educating and supporting seed industry professionals with fewer than seven years of seed industry experience. In 2018, ASTA established the student membership level, transitioning FuSE to focus on recruitment, outreach, and content for ASTA student members. The FuSE committee includes organizing all of ASTA’s educational opportunities for undergraduate to PhD students, (previously ASRF Operation Student Connection and NCCPB Graduate Student awards) as well as work with a student committee and developing targeted meeting and written material. FuSE is comprised of five sub-committees that work in collaboration to support its mission. These sub-committees assist in the planning and execution of annual programming and activities. The Communications Committee focuses on providing consistent and clear messages to multiple audiences connected to FuSE. Whether through print materials distributed on college campuses, social media or presentations given to our industry supporters, the Communications Committee actively supports each component of FuSE. The Membership Committee will work with ASTA membership engagement in driving recruitment and retention of student members. This committee will also serve as a liaison between FuSE/ASTA and the National FFA, as well as provide outreach to AFA. The Education Committee provides learning opportunities, promotes industry networking and improves the membership’s general understanding of the seed industry through: student webinars, online content, newsletters focused on the challenges and issues relating to those entering the workforce, and meeting programming. The ASTA Event Programming Committee is responsible for managing the ASTA education and awards programs from undergraduates to PhD students. Programs will provide opportunities for students to attend and mingle with industry professionals. The Student Committee will be comprised of and managed by student members and will serve to provide content and thoughts that support FuSE initiatives. FuSE seeks to develop the next generation of seed industry leaders that is prepared to meet the challenges and demands of an increasingly dynamic and global industry. Our goal is to provide educational and training resources; networking opportunities and mentors; and a true sense of belonging to our student members. Interested individuals can request information about upcoming events and involvement by emailing fuse@betterseed.org. The FuSE Organizing Committee is made up of FuSE members who take an active role in the planning and activities of FuSE. Growing up in rural Northwest Iowa, Josh has grown to love the agricultural industry from an early age. 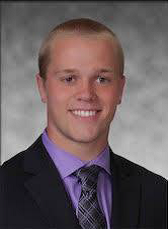 While attending Iowa State University, Josh interned with Monsanto in both Sales and Government Affairs. After Josh graduated with a Bachelor of Science Degree in Agricultural Education from Iowa State, he started with Monsanto as a District Sales Manager Trainee in Northwest Iowa. Shortly after starting his training period, he moved to his full time role in North Central Iowa as a District Sales Manager for Monsanto’s Asgrow/DEKALB Brands. This is his third year in his role, now working for Bayer Crop Science, covering the same territory and representing the same brands. In July of 2017, he started his Masters of Organizational Leadership from Waldorf University. Josh has been involved with FuSE since graduating from Iowa State in 2016. Starting as a committee member for what is now the Student Connections group, Josh then moved into the role of Co-Chair of Student Connections the following year. Josh recently took on the role of Chair for FuSE, helping develop ASTA’s initiative involving student membership and programming. In his free time, Josh enjoys spending time with his wife, Hannah, cheering on the Iowa State Cyclones, and spending time with family and friends. Randy is a Science Education and Training Specialist in the Breeding Academy at Syngenta. He earned a degree in Environmental Design at the University of Minnesota – Twin Cities and is currently seeking a Master’s in Agronomy from the University of Nebraska – Lincoln. Randy grew up in suburban southeastern Wisconsin but developed a passion for agriculture while a member of FarmHouse Fraternity. Randy enjoys spending his spare time outdoors, cheering on the Golden Gophers with his wife, Liz, and chasing their black lab, Scout. Luke Knight is a Territory Manager for Corteva Agriscience in Jackson, Tennessee. In his role, he supports retailers with positioning, training and support of the Corteva crop protection portfolio. Luke joined Dow Agrosciences in June 2017 as a sales trainee. In December 2017, Luke began his current role with Corteva Agriscience. Luke graduated from Auburn University in May 2017 with a bachelor’s of science degree in agricultural communications. Luke’s first ASTA experience was in 2016 as a Campus Connections student. 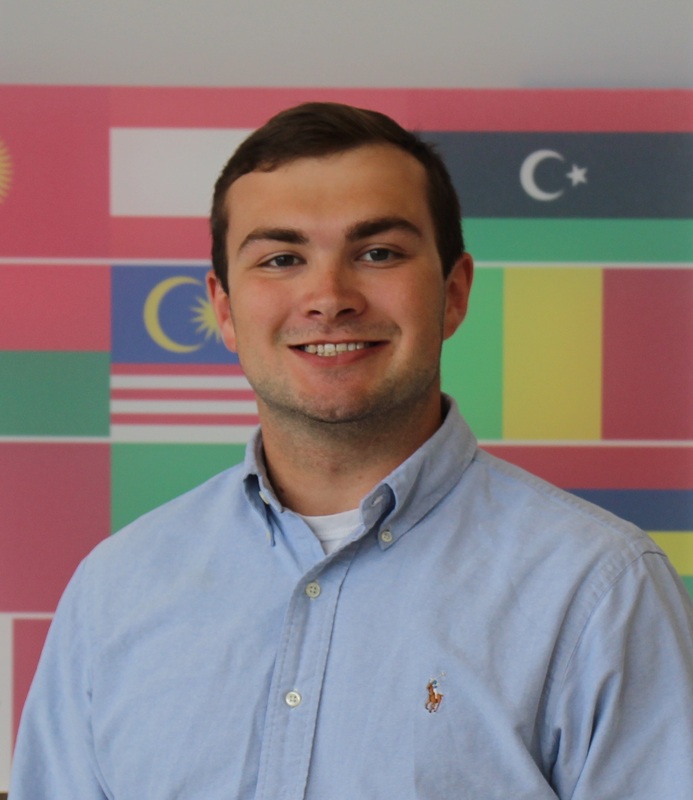 Luke has been involved with FuSE since fall 2017 serving as a member of the Campus Connections subcommittee, and now as chair of the Event Planning Committee. Luke enjoys quality time with friends and family, spending time with his dog, Walker, and cooking. Kilah Watson, Marketing Coordinator for Latham Hi-Tech Seeds is starting her fourth year on the Latham Marketing Team. Kilah graduated from Iowa State University with degrees in Agricultural Business and Public Relations. She enjoys being involved in agriculture and working with Latham Dealers and farmers throughout the Midwest. Her collaborative attitude and creativity are applied as she coordinates dealer events and expands Latham’s online presence. In addition to the work at Latham, Kilah raises corn and soybeans with her husband, Joel Watson, in North Iowa. She also enjoys serving on the Cerro Gordo County Farm Bureau Board and volunteering her time and talents at the local church. Marshall Dolch is a Southwest Iowa farm kid who grew up loving corn, soybeans, and Angus beef cattle. He is currently a District Marketing Lead for Syngenta Crop Protection supporting the company’s West Heartland Commercial Unit, based in West Des Moines, Iowa. Previously, Marshall worked as a Syngenta Crop protection Sales Representative in South Central Nebraska. While at Iowa State University, he completed two internships with Syngenta, one supporting the Golden Harvest seeds business and the other with Syngenta’s NK and Crop Protection portfolio. These experiences are ultimately what led to Marshall beginning his professional career in agriculture and with Syngenta. Marshall first started with FuSE in 2018 as a Campus Connections committee member and is excited to help co-chair the new Membership Committee this year. Abbey Weninger is an Associate Territory Manager for Corteva Agriscience. In her role, she is building on her Pioneer and industry experience, by fine-tuning her sales and agronomy skills, to become a Territory Manager. She joined Pioneer in May 2017 as a Sales and Marketing intern in Minnesota and Wisconsin. She then came back the following summer as a Marketing Intern. 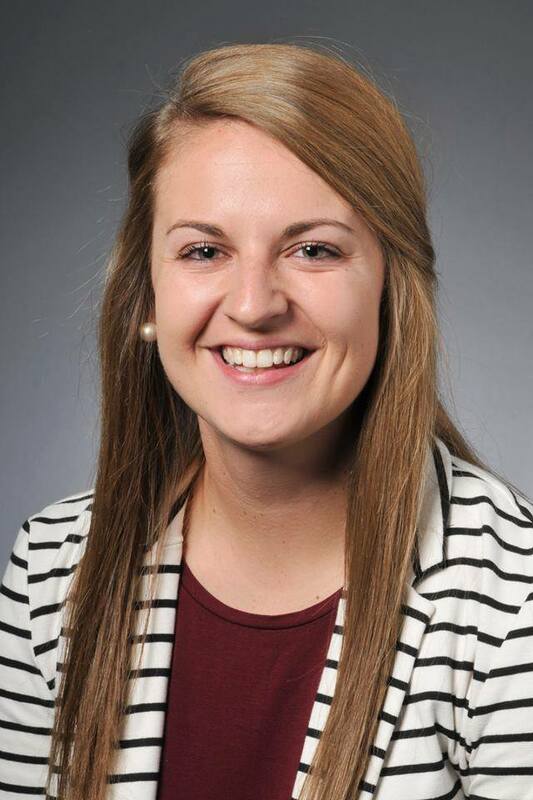 Abbey graduated from the University of Wisconsin-River Falls in December 2018 with a Bachelor of Science in Agricultural Education. Abbey’s first ASTA experience was in 2018 as a FuSE Campus Connections student. Abbey continues to volunteer with FFA chapters and is involved with AFA, along with Minnesota Farm Bureau. She enjoys traveling, being on the lake, staying active, along with spending time with family and friends. Abbey is excited to connect with students and looks forward to advocating and recruiting student members! Andrew Lauver serves as Manager, Industry Relations at Syngenta. Andrew has experience in seed and precision agricultural services in Iowa, Wisconsin and Western Canada. He has interned with Senator Grassley, the Iowa House of Representatives, as well as the American Seed Trade Association. Presently, Lauver serves as an appointed member of the National Cotton Council Cotton Foundation Board of Trustees, United States Grains Council Innovation Action Team, First-the Seed Foundation, and is the Education Committee chair of the Future Seed Executives (FuSE). Andrew if from a fifth generation family farm and received his B.S. from Iowa State University in Agricultural Studies and holds a Master of Agribusiness from Kansas State University. 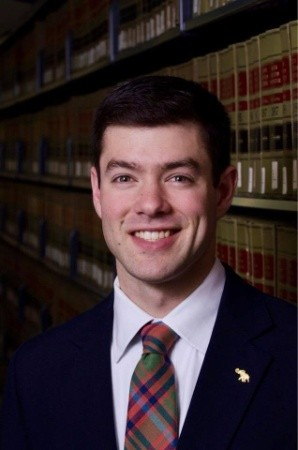 Andrew has been active in AGR, FFA and 4-H and is currently working on a Master of Jurisprudence in Agriculture and Sustainability from the Drake University Law School in Des Moines, Iowa. He has international farm and animal agricultural study experience in Europe, Asia, and South America and has been named a Future Giant of the Seed Industry by Seed World Magazine. Andrew contributes directly to Syngenta’s grower and stakeholder engagement. Kellen is a Plant Operations Lead at a seed corn production facility for Syngenta in Lone Tree, IA. He joined Syngenta in 2016 upon graduating from Iowa State University with a degree in Agricultural Studies and a minor in Agronomy. Prior to his current role, Kellen completed internships with Syngenta and Latham Hi-Tech Seeds as well as the Production and Supply Development Program within Syngenta. Kellen was introduced to FuSE through the campus connections program in 2015, and currently serves on the education committee. Brandon rose is an Account Manager with Gro Alliance in Howe, Indiana. He earned his degree in Agribusiness Management and Marketing from Purdue University in 2014. 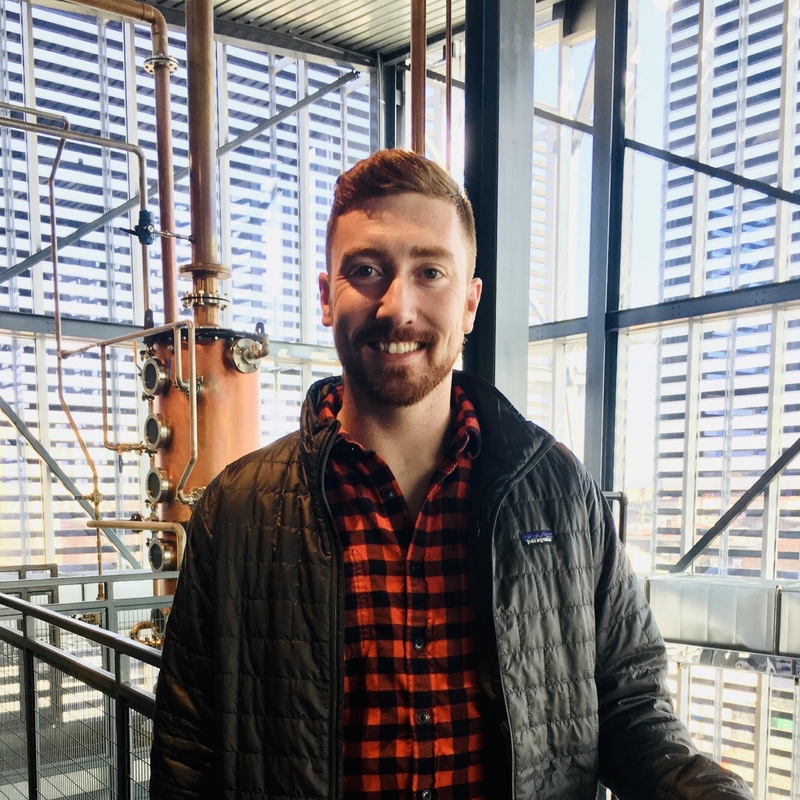 Prior to joining Gro Alliance in 2017, Brandon worked in Sales and Marketing with Agrium in Colorado and as an intern with DuPont Pioneer in Michigan. Brandon sits on the Communication Committee for ASTA’s Future Seed Executive Initiative. Brandon lives in Shipshewana, Indiana with his wife Julie and their dog Hank. Outside of work, he’s typically outdoors camping, biking, or taking weekend road trips. Kristyne is the Marketing Specialist for Farm Nutrients in in Rembrandt, Iowa. 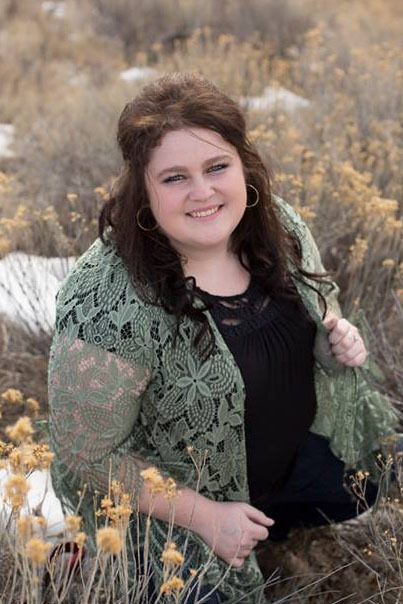 Raised on a farm in rural South Dakota, she has a strong understanding of and passion for the ag industry. She is a Southeast Technical Institute graduate with Associates degrees in Marketing and Media Design Technology. Following graduation she began her career in the seed industry as the Marketing Coordinator for Legend Seeds before relocating to Spencer, Iowa in 2018 for her current role with Farm Nutrients. At Farm Nutrients, Kristyne focuses on managing the company brand, designing sales materials, and supporting the company’s sales staff. In her spare time, she can be found traveling, helping on the family farm, or running her part-time photography business, KT Photography & Design. 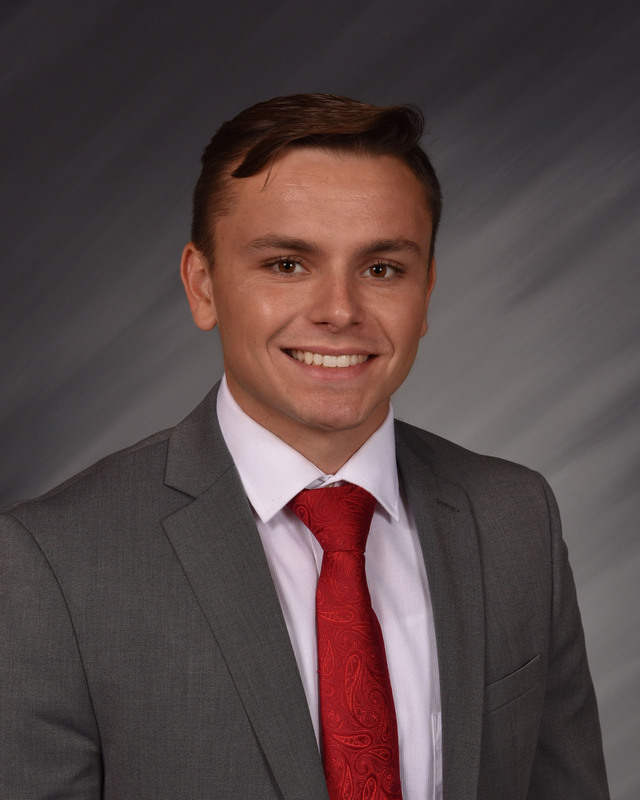 Wyatt is a current senior at The Ohio State University, where he will graduate in May 2019 with a degree in Agriscience Education. Wyatt’s interests lie within working with growers to aide them in implementing the newest technologies to their farming operations. Additionally, he has a great interest in educating the public about agricultural pursuits and shedding a positive light to the agricultural industry. Wyatt was inspired to pursue a career in the seed industry after learning that agricultural education stretches far beyond a classroom setting. He desires to educate current members of the industry and consumers who are removed from the industry to create a more desirable working and producing environment for the years to come. We have more ideas than time to implement them and we are actively seeking motivated individuals to assist us in supporting FuSE! To receive more information on FuSE, please email the committee at fuse@betterseed.org. FuSE is a professional group supporting those with seven years or less experience in the seed industry. Membership in FuSE is available to those who meet the criteria and complete the membership form. FuSE provides learning, networking, and professional development opportunities to professionals with seven years or less experience in the seed industry. How do I become a member and connect with FuSE? Keynote speaker Dr. David Clark from the University of Florida shared his insight on how to be successful and hot topics in the seed industry. To listen to his remarks, click here. FuSE hosted Keynote Speaker Bill Whitacre for a one-on-one conversation and networking. The FuSE Meeting focused on agriculture industry drivers and implications with a presentation by Mike Gunderson, Purdue University followed by a networking reception. Finally, an educational unit was held at the Chicago Board of Trade and Chicago High School for Agricultural Sciences. The FuSE Organizing Committee conducted its 2nd Fly-In strategy session in March 2014. This “meeting of the minds” has proven well worth the effort to regroup and re-fresh ideas with a 2014-15 focus on membership development and education. August 2013 – Social media webinar led by Laura Cunningham of Latham Hi-Tech Seeds. The event concluded a three-part series on social media held in conjunction with the Independent Professional Seed Association. October 2013 – Educational Unit hosted by Cotton Incorporated and Syngenta in Raleigh, N.C. The event focused on the cotton value chain, southern crops, and Syngenta’s crop research. December 2013 – Meeting and reception at ASTA’s CSS & Seed Expo in Chicago, Ill.. The meeting featured a panel discussion on ‘Navigating the Road to Seed Industry Success’ and included ASTA’s 2013-2014 Chairman & AgReliant Genetics CEO Craig Newman. January 2014 – Held a break-out session focused on ‘Reaching Tech-Savvy Growers’ at the Independent Professional Seed Association’s annual conference in St. Louis, Mo. June 2014 – FuSE hosted an educational session and 10th birthday celebration at the NCAA Hall of Champions during ASTA’s 131st Annual Convention in Indianapolis, Ind.. The event featured Doug Austrom of Turning Point Associates on ‘The Power of Inclusive Leadership.’ At the celebration, FuSE presented Founders Awards to its 4 founders: Jim Schweigert, TJ Lawhon, David Nothmann, and Alexis Ellicott. Also, Seed World announced Chris Boomsma of Dow AgroSciences as the 2014 Future Giants of the Seed Industry Award winner and Leah Ruff, Graduate Research Assistant at the University of Nebraska, was the ASRF the Roger Krueger Memorial Scholarship recipient. To our 2013-14 sponsors, we thank you so much for the generous donations and support you provided. Your giving allowed for continued educational opportunities for our newest seed industry professionals and college students. Student Connections provides a unique opportunity for collegiate students working towards a career in the seed industry. Student Connections provides students the ability to network, engage, and promote the seed industry at ASTA’s Policy & Leadership Development Conference (PLDC). Interact with seed industry professionals and senior executives to investigate various aspects of the seed business. Future Seed Executives (FuSE), via the Student Connections program, will award students a grant to attend PLDC. PLDC is attended by approximately 300 seed industry profressionals representing small, medium and large companies focused on different seed industry segments: large row crops (corn, soybeans, cotton, and sorghum), flower, vegetable and grass seed. PLDC covers a range of topics including biotechnology, sustainability, organics, breeding advancements, ag policy and international trade. In addition to exposing participants to these diverse topics, the Student Connections program will also includ networking opportunities and one-on-one mentoring by seed industry executives. Who is able to participate in Student Connections and how do they apply? Students in an undergraduate or graduate degree program with an interest in joining the seed industry upon the completion of their studies are encouraged to apply. What is covered by the program? Air Fare – Up to $580.00 round-trip (participants will book their own travel arrangements). Hotel – Participants will be paired with other students in the program and FuSE will make the reservations. Local Airport/Hotel Transportation cost – Students are expected to pay for their transportation costs to and from the airport and host hotel upfront, but will be reimbursed for any receipts submitted. FuSE focuses on educating and supporting future seed industry executives — namely those with fewer than seven years of seed industry experience. There are many ways to support FuSE’s events and programs either financially or by sharing expertise or other non-monetary assistance. To sign up as a FuSE sponsor or for more information on sponsorship opportunities, please contact ASTA at 703-837-8140. Click here for accessible version of the following YouTube video. Click here to view this video on YouTube. – Jon Moreland, Oliver Manufacturing Co. Inc.
Click here for accessible version of the following YouTube video. Click here to view this video on YouTube. Click here for accessible version of the following YouTube video. Click here to view this video on YouTube.